The pain is so severe that tears are coming down from your eyes without even crying; you’re screaming at the top of your lungs hoping and wishing that this thing between your legs would just come out already. It’s been damn near 22 hours and you are still bawling your eyes out. You have this burning sensation between your legs that seems as if it will never go away and all you can do is squeeze your boyfriend/husband’s hands really tight. The pain is so unbearable that you can’t take it any longer so you beg for the doctor to either kill you, or to give you the epidural. Once you get a hit from the needle….”ahhhhhh” it’s just smooth sailing from there. You can now push out little Timmy with ease and give your friend’s high fives. You know what I am referring to? You riiiigghtt 🙂 I’m talking about KIDNEY STONES!!! 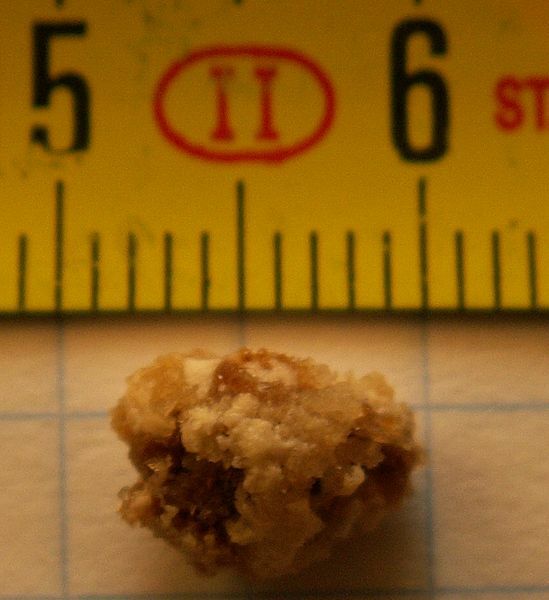 Here are 3 points why Kidney Stones is worse than Pregnancy. Pregnancy is controllable/preventable…regardless of how tight that couchie is, how juicy it can be, the woman has the responsibility in ensuring and knowing what can transpire from wanting some pipe. In addition, regardless of our sodium intake, we CAN still catch the stone. This is one factor as to why pain and labour shouldn’t be used in the same sentence. Point #2, the couchie can stretch to freakin release a 12lb baby…the manhole is not designed to stretch what so ever. Point #3, during what I call the “release”…a woman is surrounded by a couple of nurses, a gyno and the man – they’re there to provide comfort, security and what not…for the guy on the other hand, all you get is a cup, your right hand, a pamphlet and one doctor…talk about NO SUPPORT. Can you imagine, one day you just feel this sharp pain that starts from your testicles then all the way up your body, feeling like someone kicked you in the balls and that pain won’t go away, then as you start to urinate there’s blood and you feel this massive object running through your shaft and that’s the only place it can exit. You can’t take any epidural, you don’t have anyone to lean on, your by yourself taking that pain screaming your head off and no one can save you but YOU. There are some ways that you can detect if you may have this problem; you may feel pain in the belly or the side of your back. It may travel to the groin area or testicles (it varies of course), blood in the urine, fever, chills just to name a few. There may even be complications where there could be kidney damage, recurrence of stones and even a urinary tract infection. Fortunately, there are several ways that you can treat this. Drink at least 6-8 glasses of water per day, surgery may be necessary (depending on the kind of stone you have). If worse comes to worse, you just may have to head to the hospital to be treated. No one really focuses on this topic, the pain that some men go through. Probably no one cares about this subject, nor would ever experience this pain, but I just felt that it was needed to be discussed.